Property Surveys Devon is a RICS regulated chartered surveying company providing residential Home Purchase surveys – level 2, (equivalent to the Homebuyer report), Building surveys – level 3 and other specialist surveys and commercial surveys. We pride ourselves on customer satisfaction, which sees us delivering a first-class chartered surveying service on each job. We provide our service across all EX, PL and TQ postcodes including Exeter, Plymouth and Torquay. 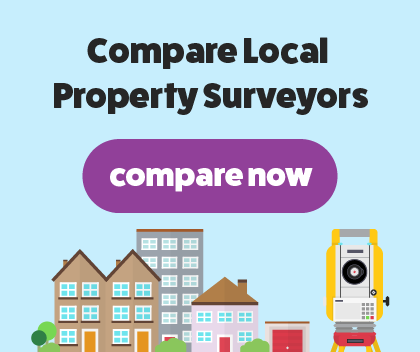 I am a highly skilled and fully qualified Chartered Building Surveyor, member of the RICS and a Registered Valuer providing residential valuations. We always aim to have a quick turnaround of our surveys with the report usually completed within 1-2 working days following survey. We also provide architectural design plans and beam calculations for extensions and alterations. We offer our professional help and advice when required if you’re unsure of the type of survey required or anything you don’t understand within the survey report, making it easy for you to find a surveyor you trust. You will need us to carry out our RICS home buyers report if the house you’re buying is modern and in good condition. One of our RICS regulated chartered surveyors will carry out an examination of the house to find any defects or damage that isn’t easy to spot. We will be very thorough with our survey and aim to complete the survey and our easy to understand report within 1-2 days. The report will include areas of concern and hidden damage within the property. We have carried out hundreds of homebuyer reports over the years, giving us in-depth knowledge and skills of surveying a variety of property types. When you’re buying an older property or listed building that was built using unusual or unique building materials, you will need to get our RICS building survey. Our building survey will be the most comprehensive and in-depth survey that we offer and it'll be carried out our expert building surveyors. The building survey will consist of a thorough examination of the property’s interior and exterior, assessing the structure and condition of the property. We could uncover major hidden defects that could save you from spending thousands on repairs. Our building survey will be conducted by a RICS regulated chartered surveyor with years of experience carrying out surveys.